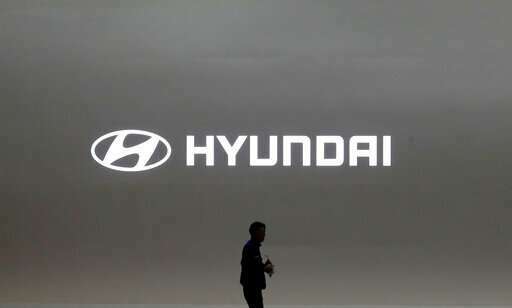 Hyundai has found a new problem that can cause its car engines to fail or catch fire, issuing yet another recall to fix problems that have affected more than 6 million vehicles during the past 3,5 years. It's a different problem from what has caused the rest of the recalls since 2015 from Hyundai and its affiliated automaker Kia, which have been plagued by engine failures and fires across the U.S. The recall, which covers only the 2013 Veloster with 1.6-liter engines, is due to a software problem that has been found only in that model year and not in other Hyundai engines, company spokesman Michael Stewart said. Kia spokesman James Bell did not return messages seeking comment on Friday. While claims were high for the 2013 model, they decreased starting in 2014, the company wrote. Software was updated on vehicles at the factory in October of 2013, the company said. Hyundai wrote that it's not aware of any crashes or injuries.